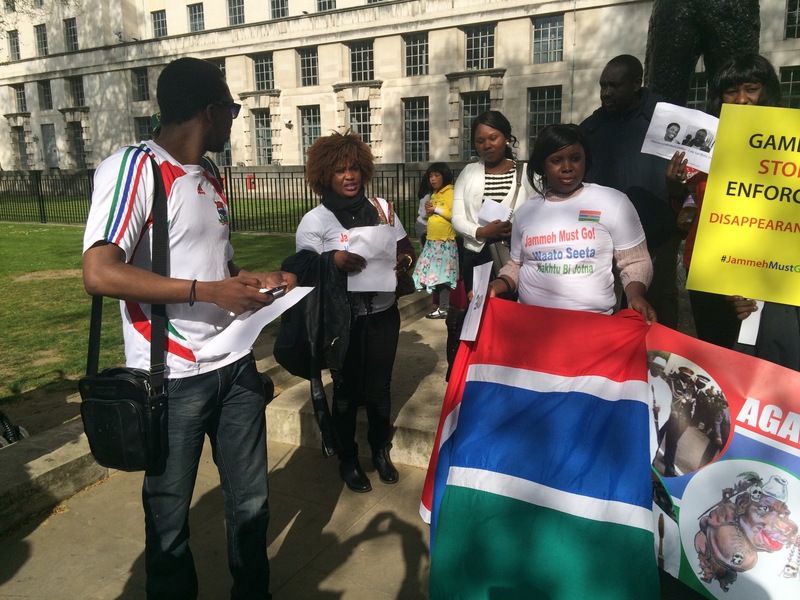 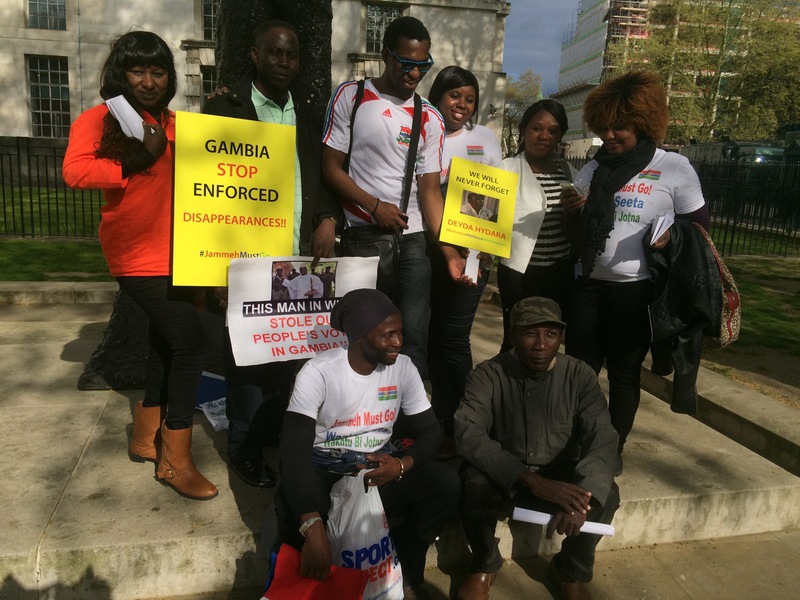 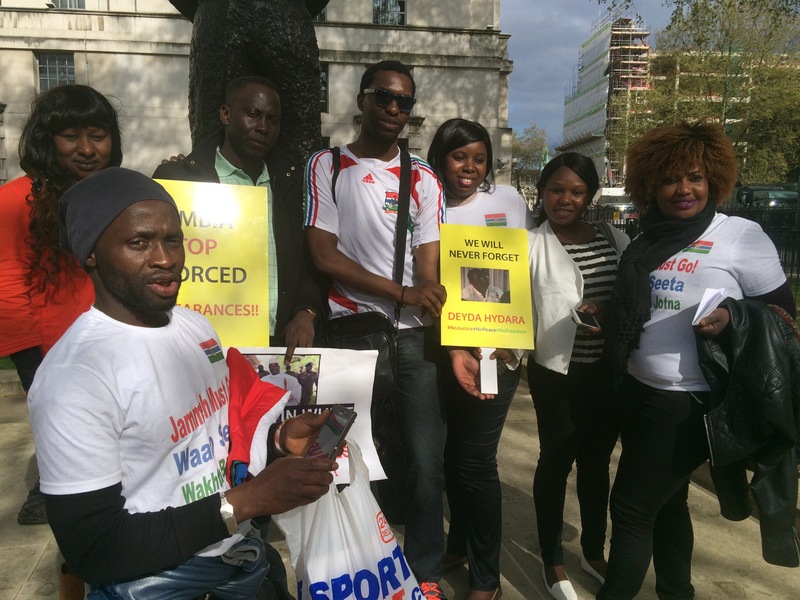 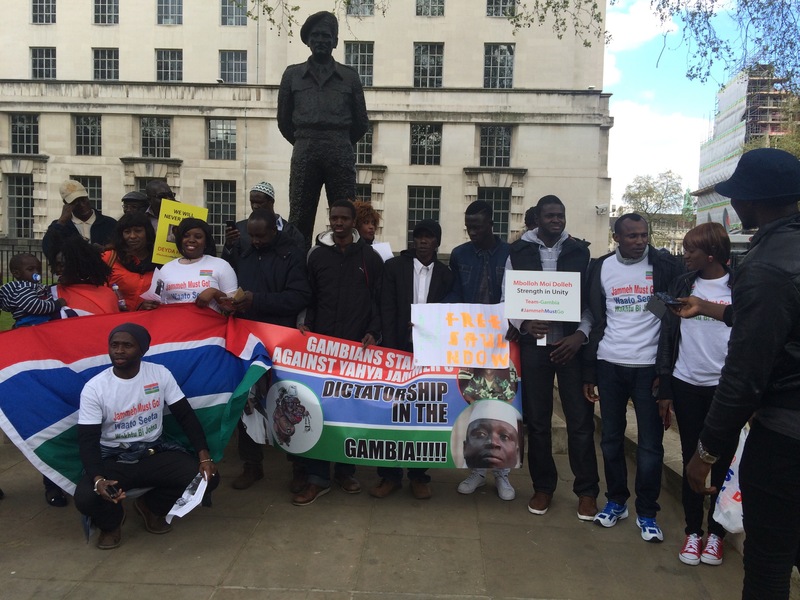 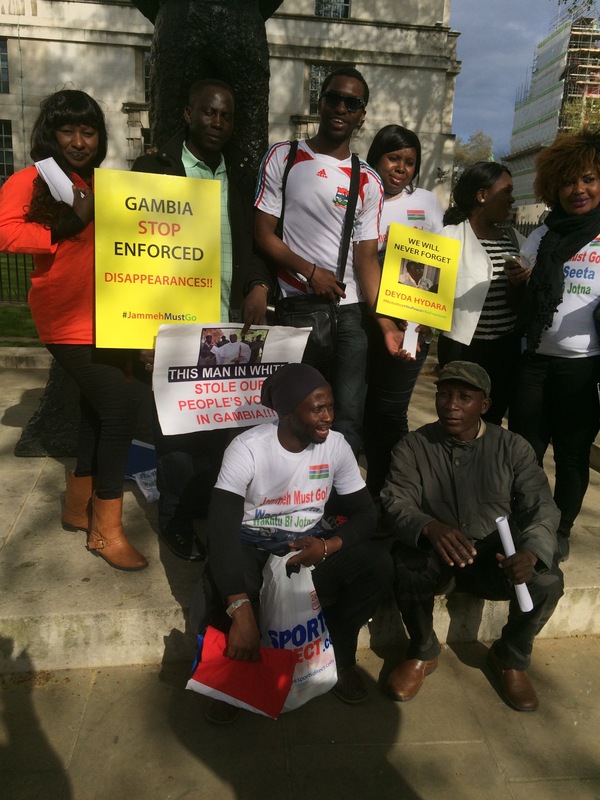 Gambians in the UK today Saturday 25th April 2015 held a protest march from Trafalgar Square to 10 Downing Street to march against dictatorship and seek justice for the victims of April 10&11 in The Gambia. 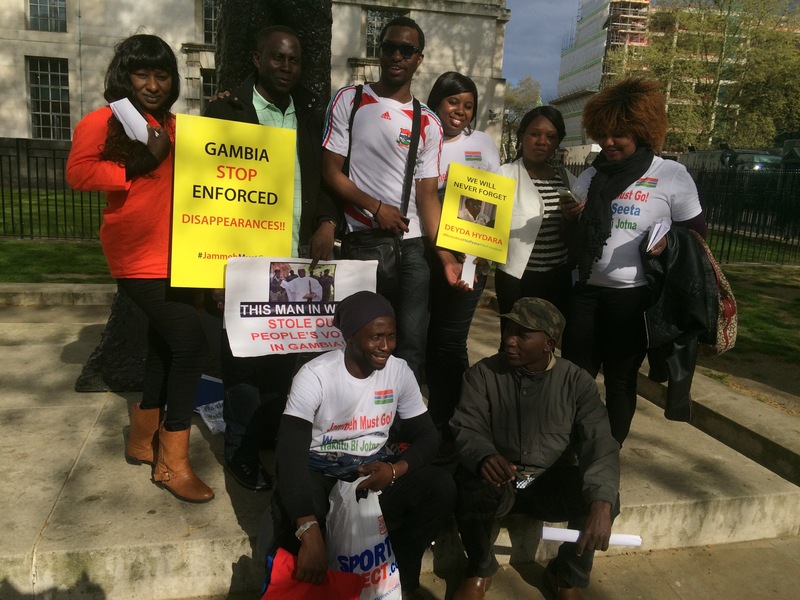 It was a well attended protest and among the protesters Ebrima Chogan, Yankuba Darboe and Flex spoke at length to highlight the plight of The Gambians since 1994 under the brutal and repressive regime of Yahya Jammeh. 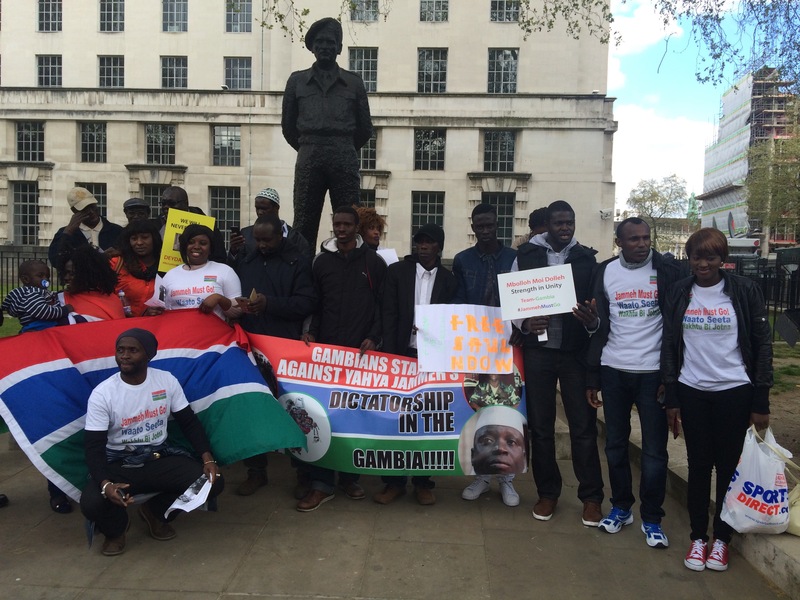 As we all know Gambia is the smallest country in the main land Africa but they have one of the worst dictator in the person of Yahya Jammeh. 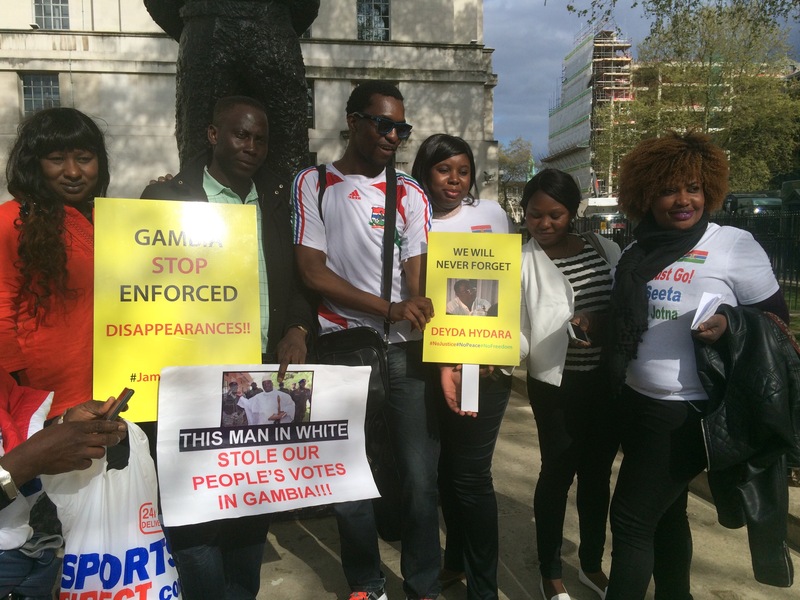 He cares about only one thing, which is to stay in power as long as he can under any circumstances and that has resulted to the killings, imprisonment, maimed, tortured, disappearances of thousands of Gambians. 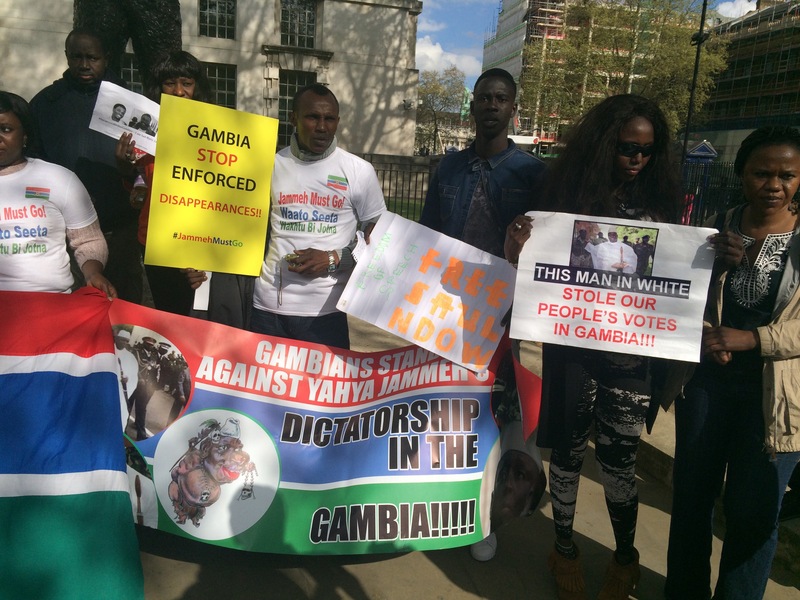 In The Gambia it is a crime to criticise the government or write anything that the government disapprove of. 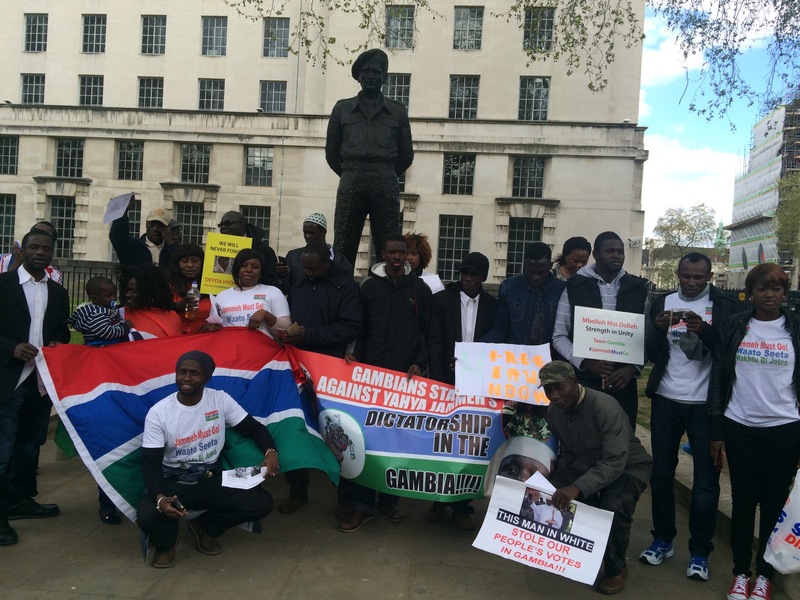 Gambians must stand up to dictatorship and fight to end it else the country is on the wrong track.